Extraordinarily promising events may seem to be fIf you feel like you’re in a burning building, you’re in the right place. What’s burning is karma: old stuff, such as the ancient psychological and emotional material that clogs your life. This has been going on for months, but the furnace is just reaching full temperature. There is also something about needing to be released from a commitment. It will not be long before you have the go-ahead you need to feel like you’ve done what is called for. At the same time, you will also feel the anger, passion, and pain that will motivate you to be free and clear. Don’t medicate yourself. Stay with every sensation and sentiment until you work it through. What it all points to is a pattern of enslavement that may be sexual in nature, and which is working its way out of your world. Remember, there is a difference between power and pleasure. You stand in what is likely to be the most complicated period of personal reassessment of your life. Complicated, or so it seems. Life would be simpler if you really understood the way in which you’ve become divided against yourself, and if you could see the influences that keep you that way. The problem has been that, like most vast and ancient issues, this one lurks in a blind spot. But unusual conditions will soon allow you to see something vividly that has long eluded perception: family patterns, your relationships with people who have harmed you, and those that have compelled you to grow. It’s true that you’ve been shaped by external factors, and it’s also true that, finally, you can choose what you take in and take on. There comes a moment when everything stops and you can make a decision as one person, for yourself. Now that you know a little something about who your friends are, you can make enormous strides in discovering who you are. 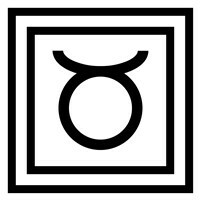 You are headed for a meeting with the other side of your nature: the famed “secret sharer” or opposite self of Gemini mythology. Discovery implies finding something within yourself that was already there, but in this case might have only turned up in one lifetime out of every ten. I’m not guessing when I say this has something to do with your sexual orientation. However, there are more than two of these; a unique sexual orientation exists for every person on the planet, and your project for the next couple of months is opening up to yours. This, in turn, relates to the most basic facts of existence. To question your sexuality is to ask, “Who am I?” Most people never inquire, so most never find out. You have invested much of the past year in a restructuring process. Often this restructuring has required imposed external structure, enforced changes, and taking authority over your own life. You may have noticed in these days that you’ve finally come to terms with some of your deepest fears, or at least discovered what they are and put them out on the table. Should I keep going? You know how strong you are, and you know your vulnerabilities. To this equation we can now add the cosmic force known as desire. This is something new. Where desire runs up against an old belief, something needs to change: the belief or the desire. Which is it going to be? What would it mean to reclaim your life? You have changed so much, so well, with such dedication. You don’t need to let one oppressive idea deny you what you want and need the most. Still waters run deep, they used to say. You do this well. You also do something unusual at the same time, which is shine out in the world rather brilliantly at the same time you hold a vast space wide open within yourself. More than usual, there is a certain balance you seem intent on maintaining between appearance and your inner reality, as if you are working to rectify the two. What you are actually doing, I would suggest, is seeking to maintain balance, integrity, and continuity between the past, present, and the future where certain close friends and personal visions are concerned. More often than not, our dreams live or not by the virtues of those with whom we surround ourselves. In this process, there is a factor you have not yet considered, which will soon enough change the face of your life as you know it. Let’s put it this way: Make a wish, and remember it.